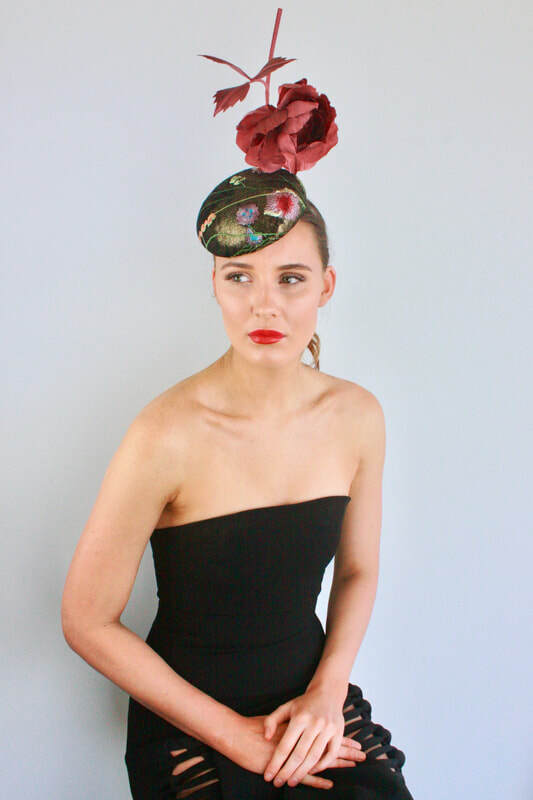 Extra wide brimmed hat in vivid fuchsia with a tall, fully suspended black silk rose with thorns. 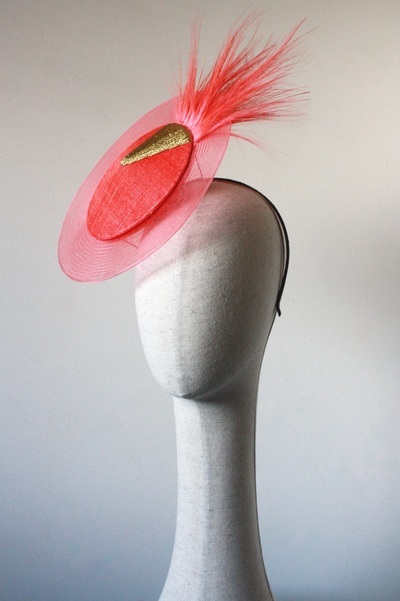 Blocked on the bias and with a curved conical centre covered in neon yellow, orange and pink flecks for additional visual texture. 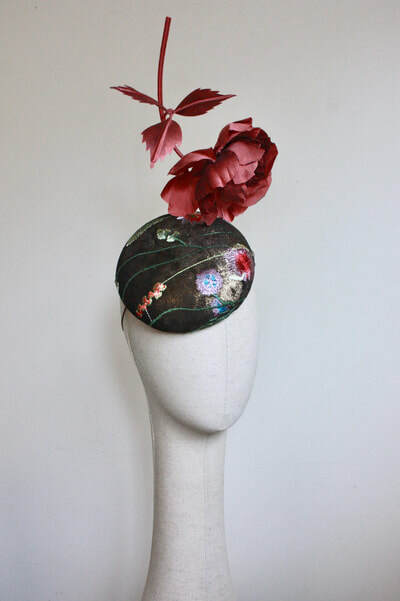 Please note that the dimensions of this piece will not fit into a conventional hat box but a suitable alternative instead. 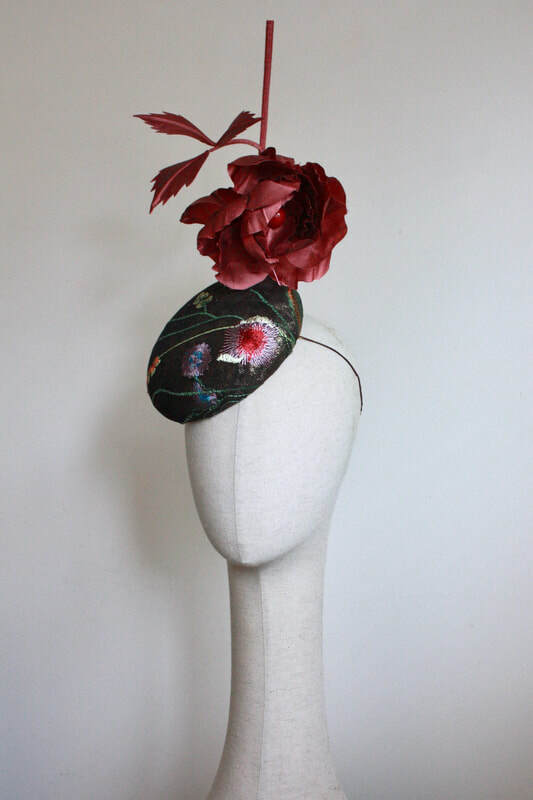 Button hat in dark gold with embroidered floral detail and handmade rose trim in dusky pink. 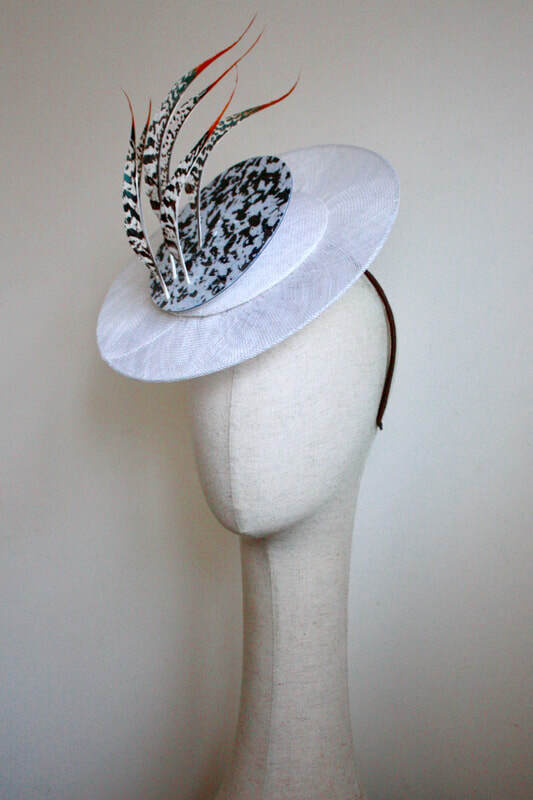 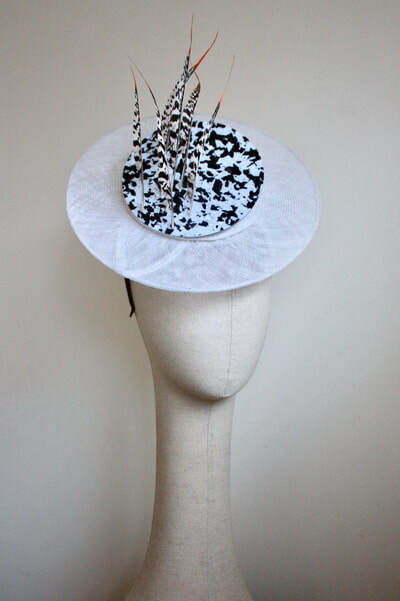 White sinamay disc hat with black and white speckled top and sculpted (naturally red tipped) feathers. 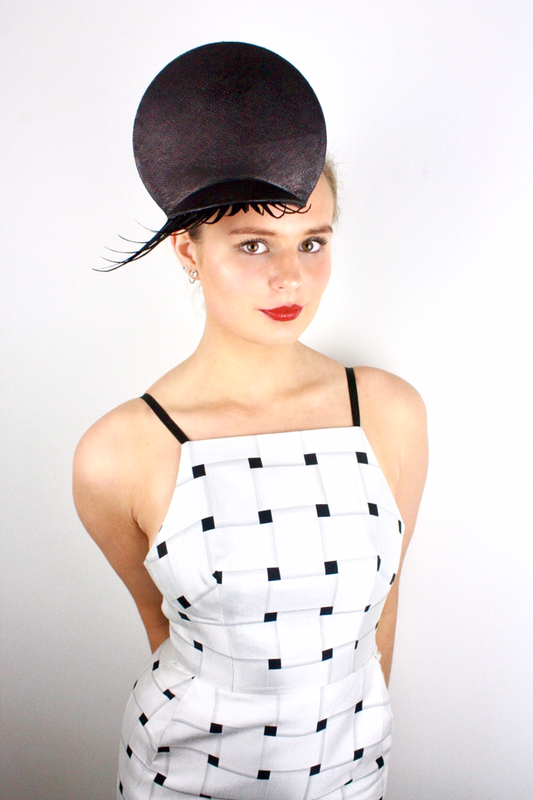 Tilted boater with a speckled black and white brim and metallic leather curved trim. 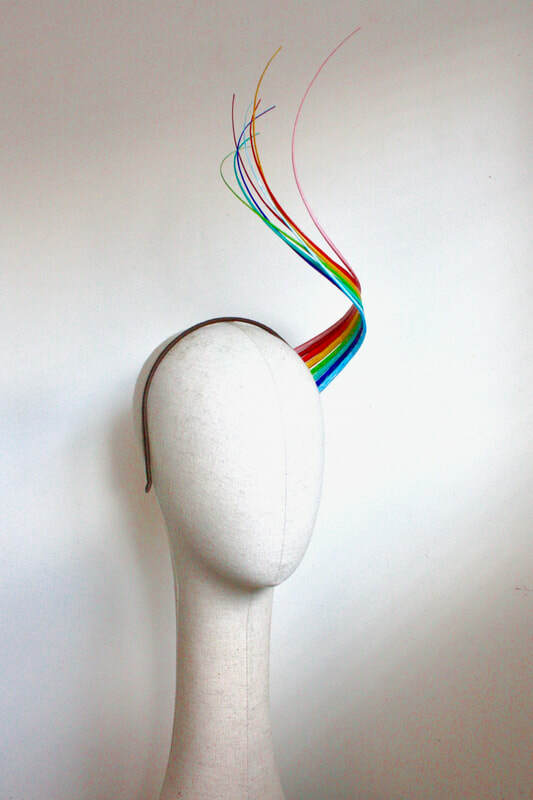 Neon flecks will glow under UV black light if so inclined! 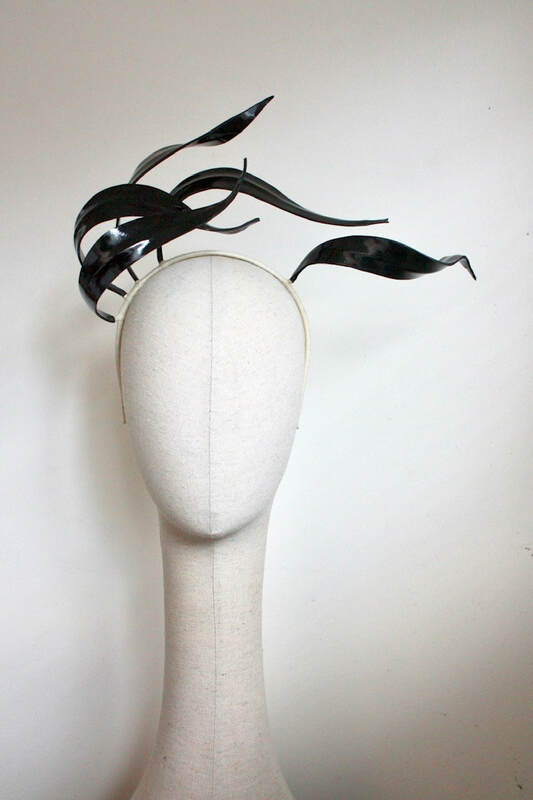 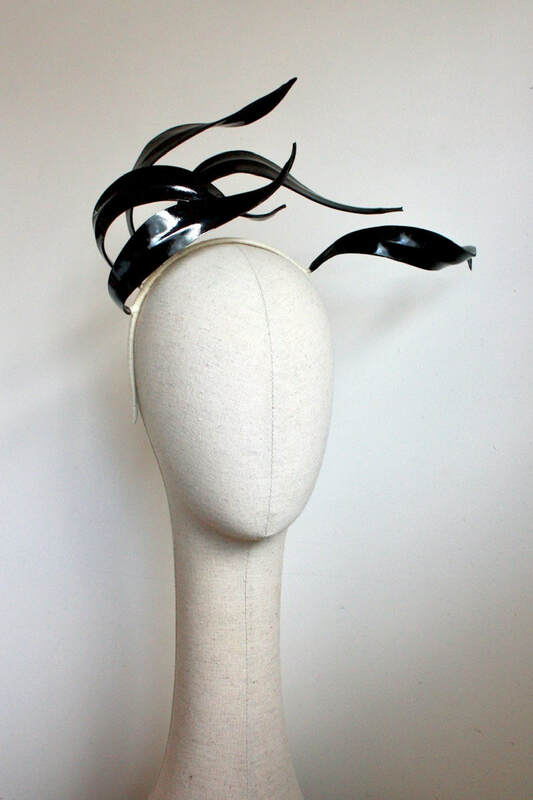 Lightweight feather points headpiece in black, grey and red. Other colour combinations available upon request. 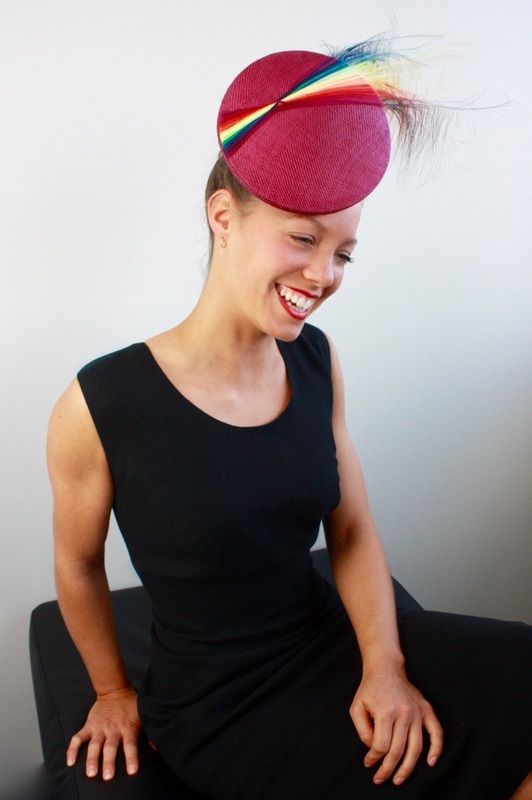 Lightweight Feather points headpiece in bottle green, fuchsia & aqua. 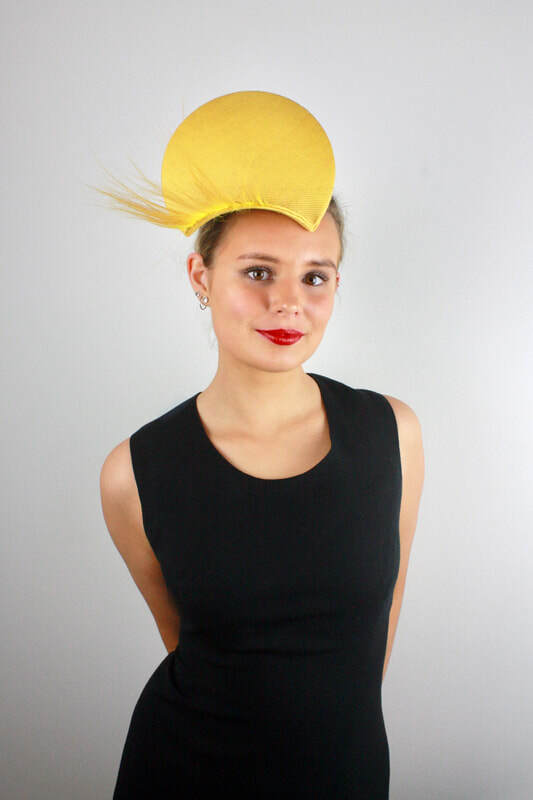 Tilted conical disc hat with vivid feather points. Tilted conical disc hat with vivd feather points. 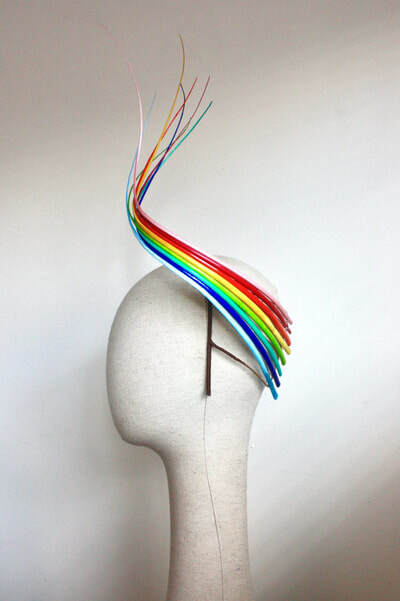 The neon flecks will glow under UV Black light if so inclined. 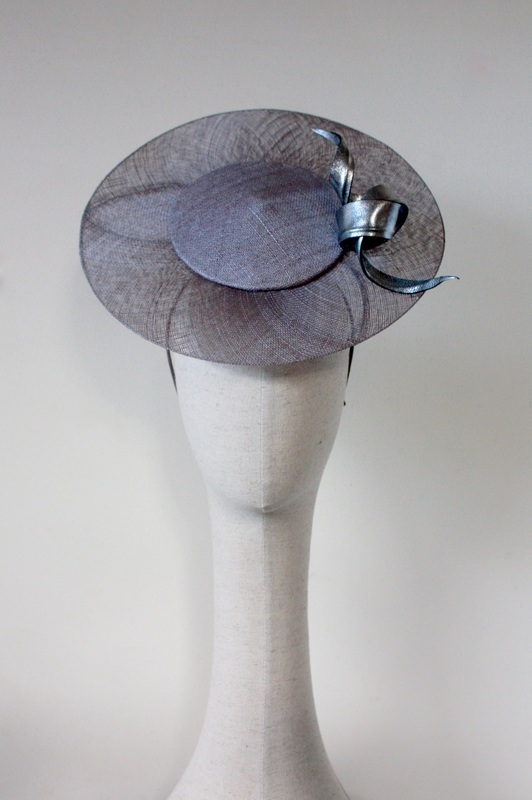 Slimline 'Eyelash' headpiece in silvery blue. Positioned effortlessly over your forehead. 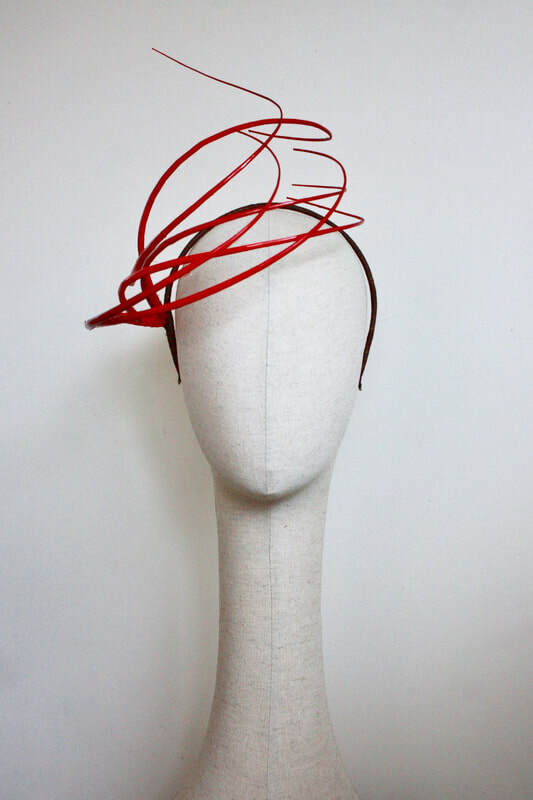 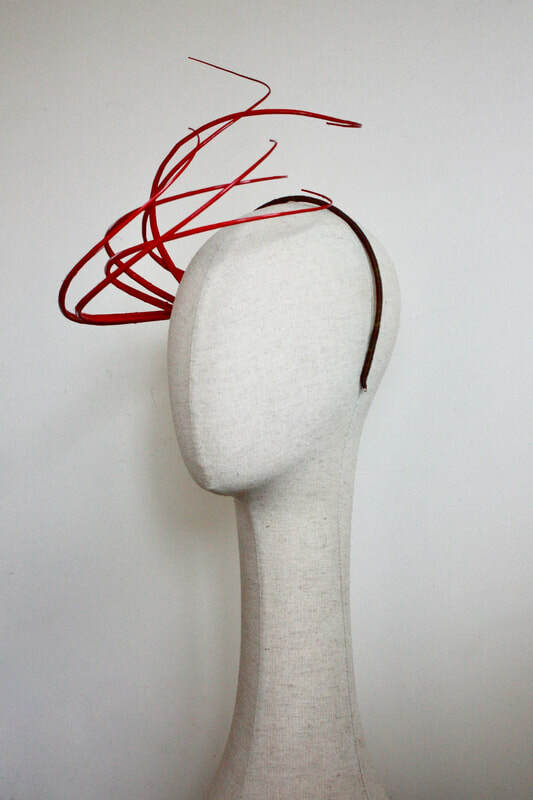 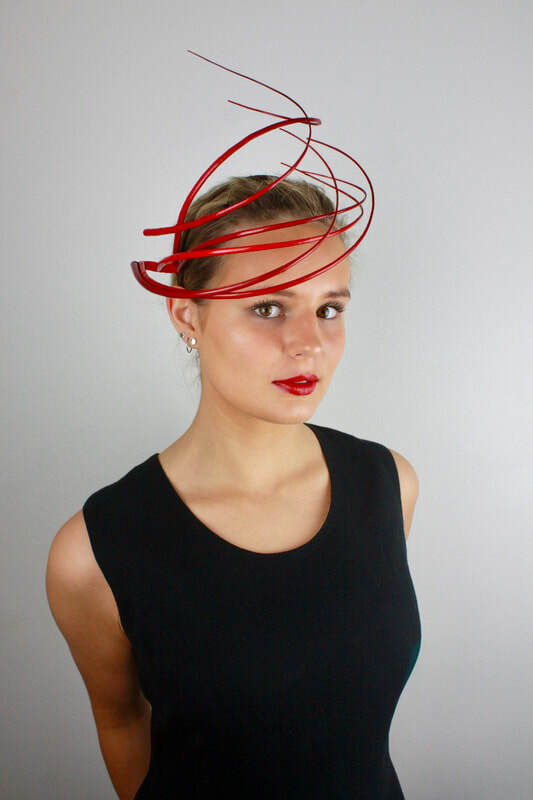 The new quills headpiece in red. 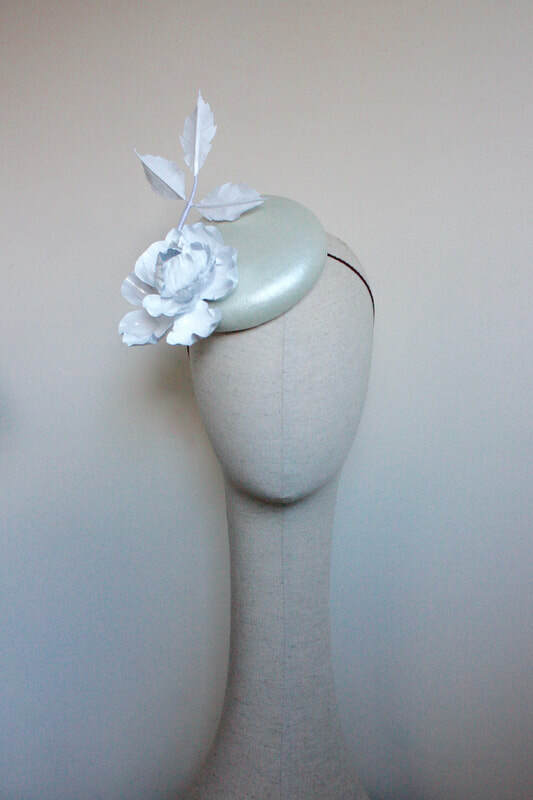 Other colours available to be dyed upon request! 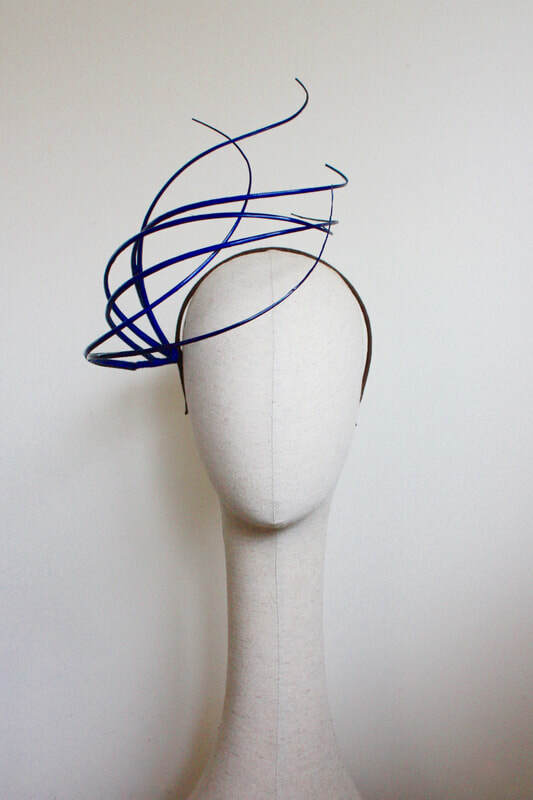 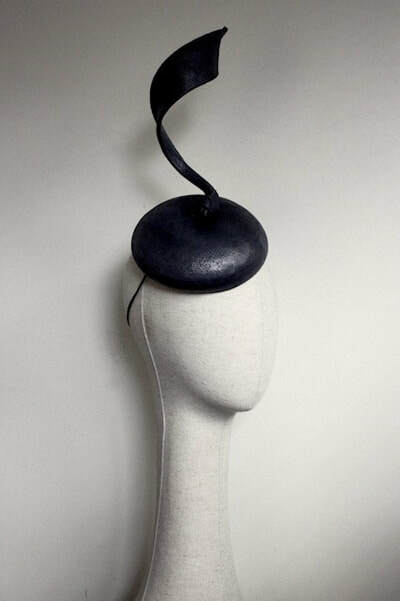 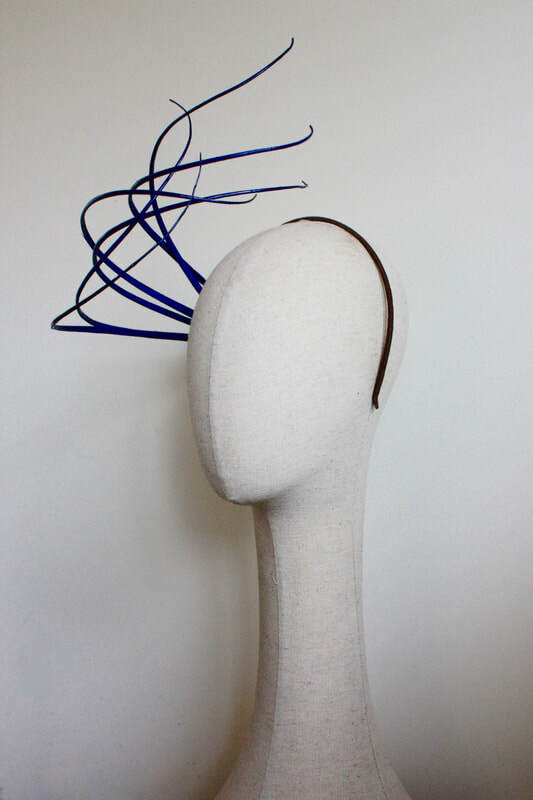 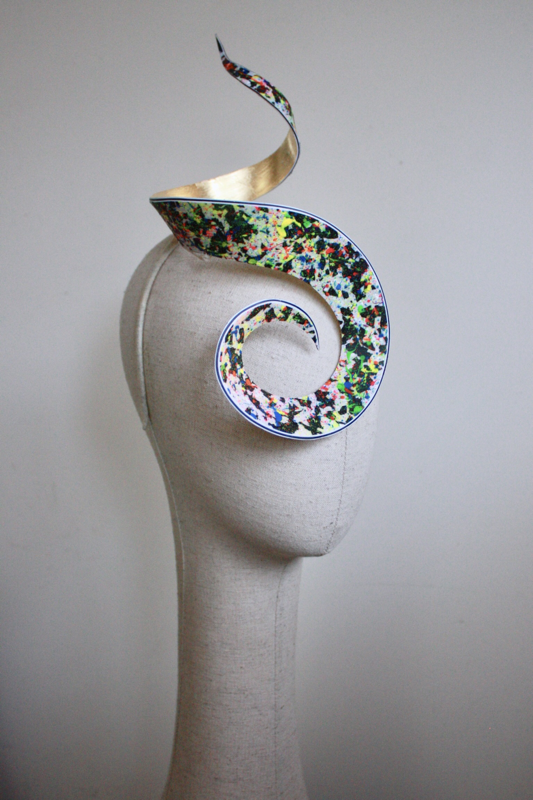 The new Quills headpiece in cobalt blue. 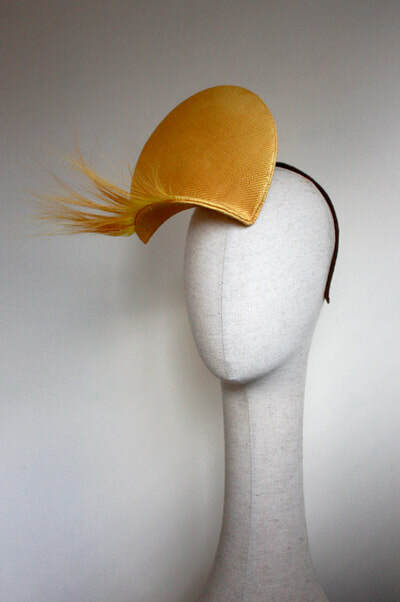 Other colours dyed to order upon request! 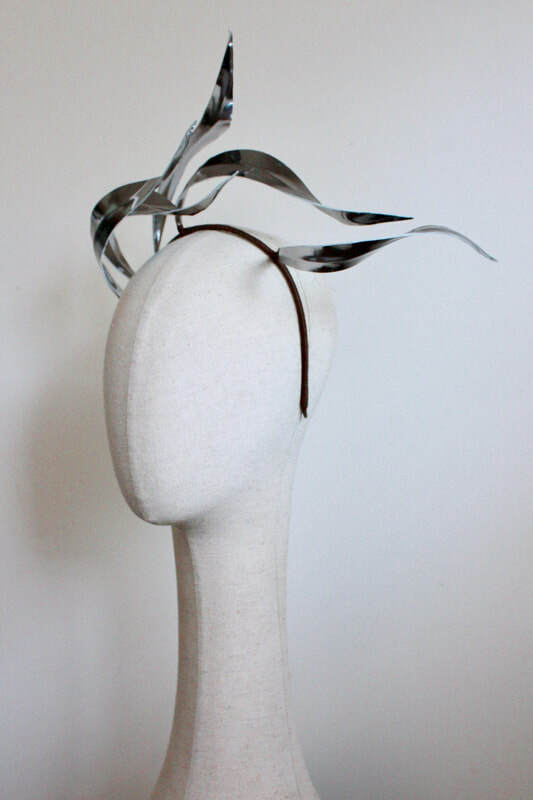 Windswept curls in foiled light golden leather. 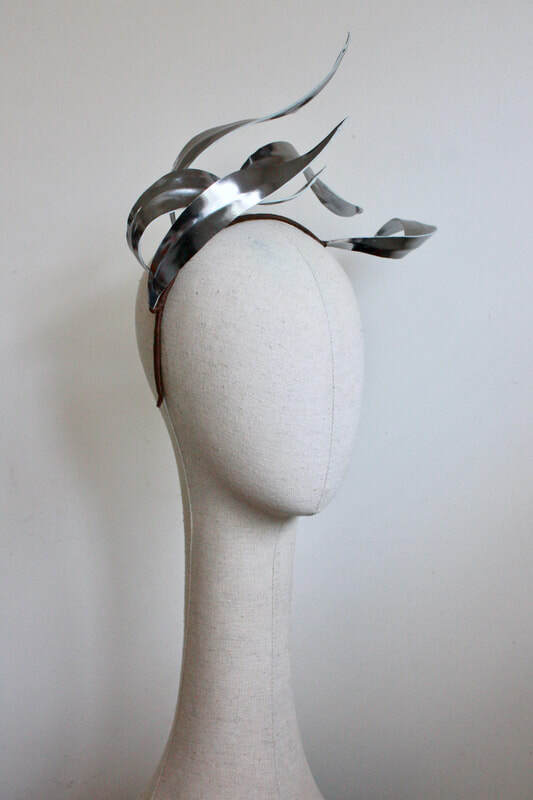 Windswept curls in foiled silver leather. 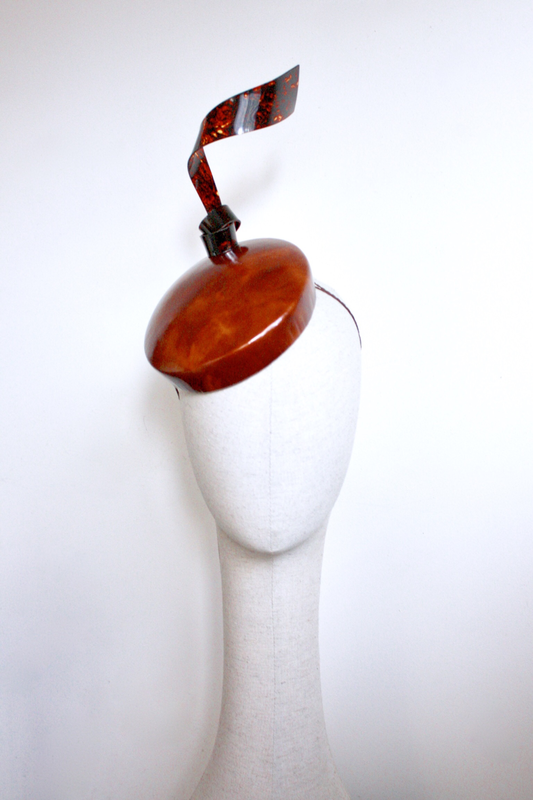 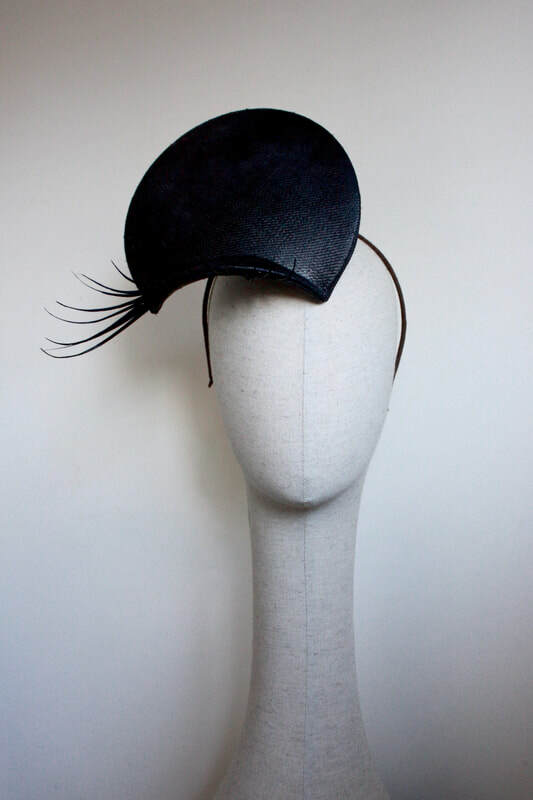 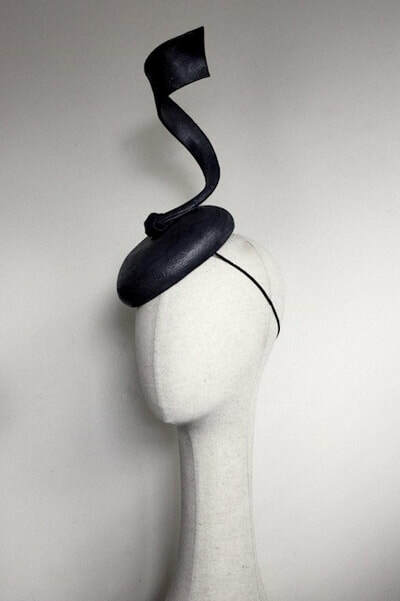 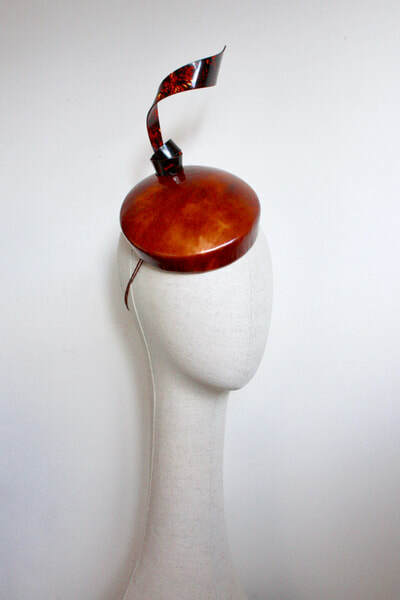 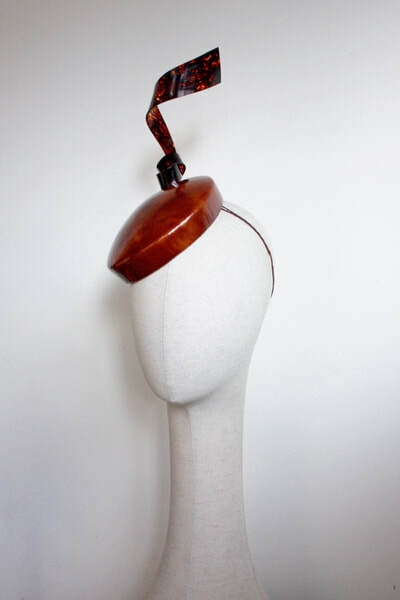 Faux tortoise-shell polished leather button hat with translucent top knot curl. 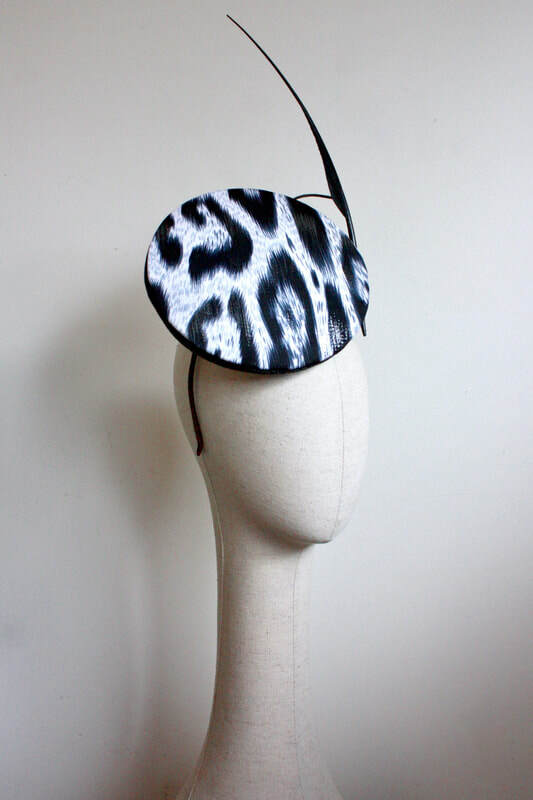 'Snow leopard' button hat with two-tone feather pompom and sculpted feather detail. 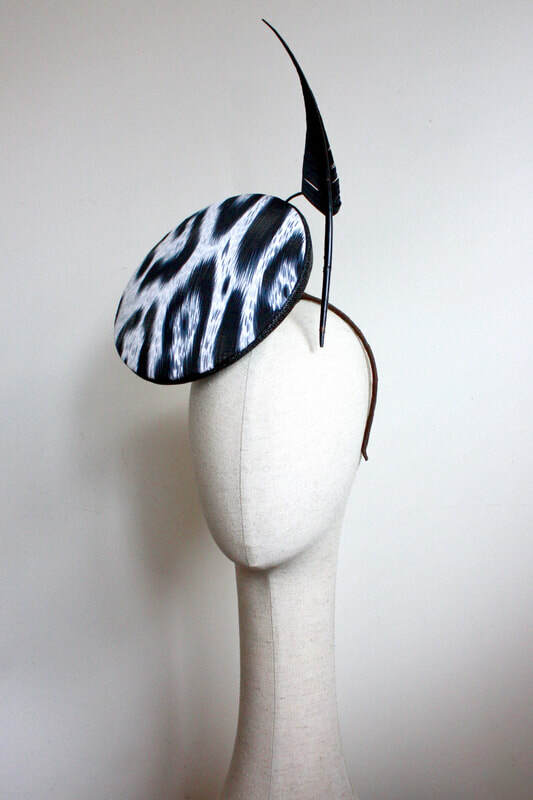 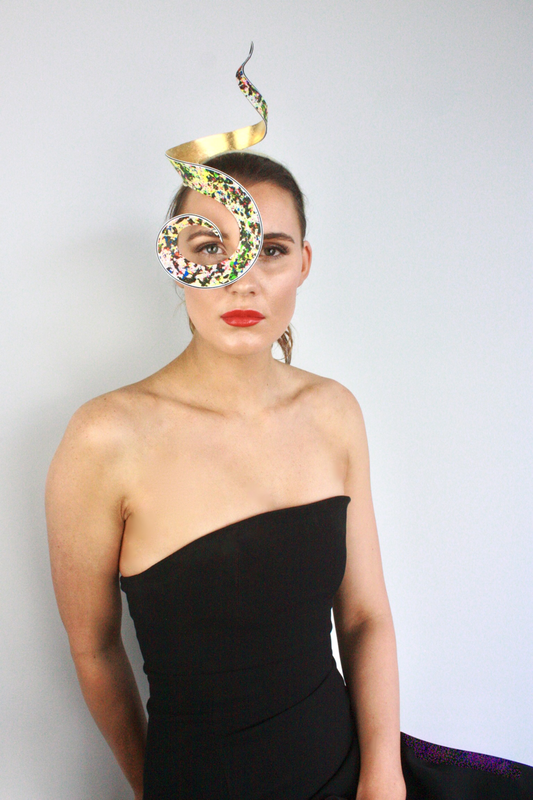 'Snow leopard' tilted disc beret with sculpted feather. 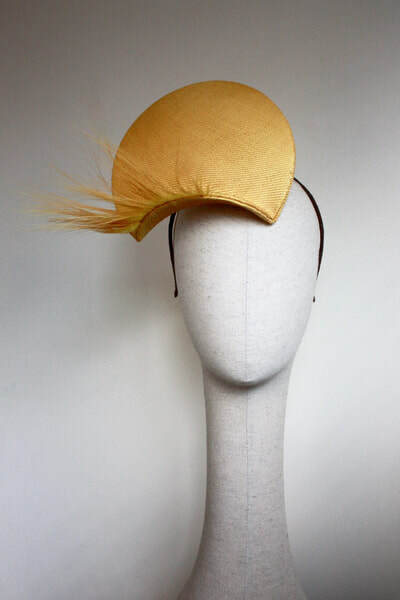 Finest straw weave 'Eyelash' percher in yellow (with feathery lashes). 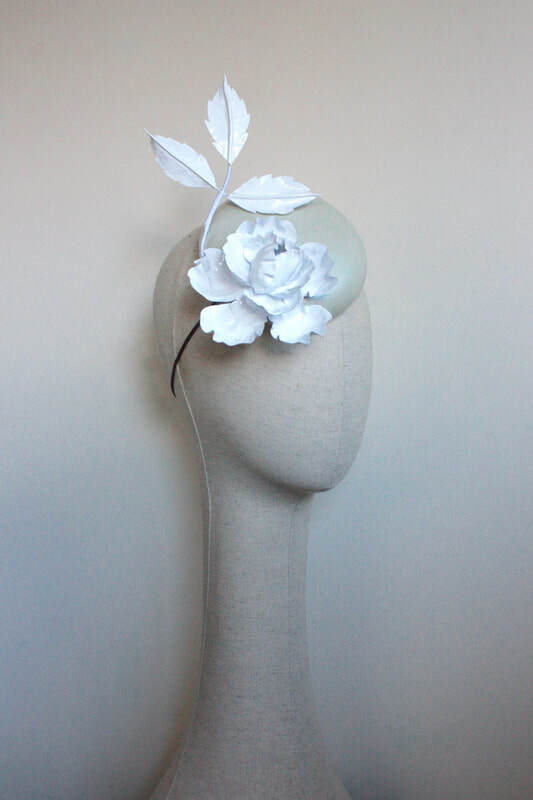 Pearled leather button hat with an embossed metal enameled white rose. 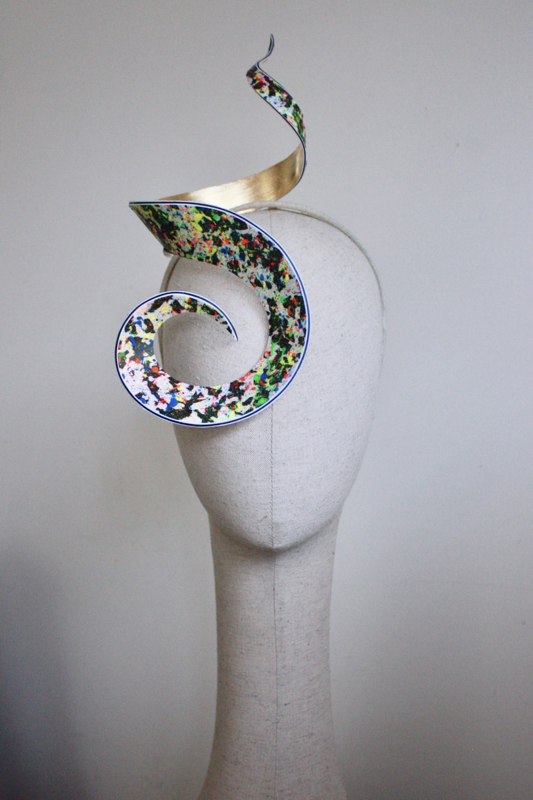 Hand cut and embossed metal flower headpiece in copper and black. 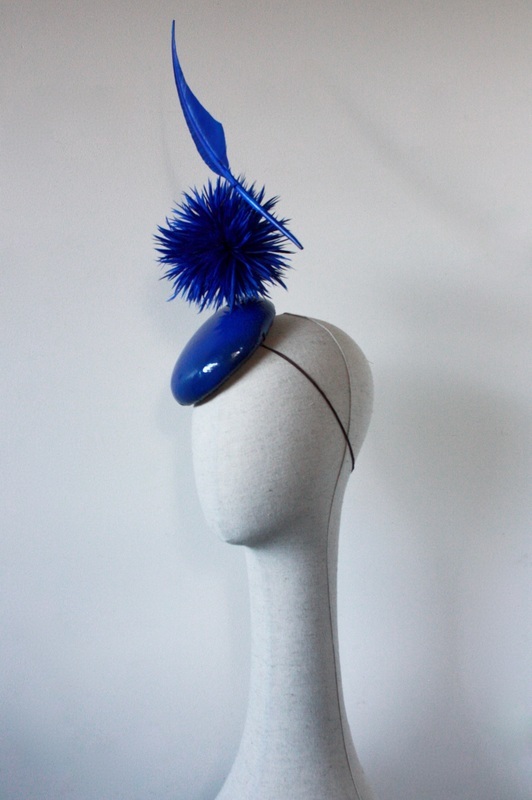 Dynamic feather protea headpiece in cobalt blue and vivid pink. 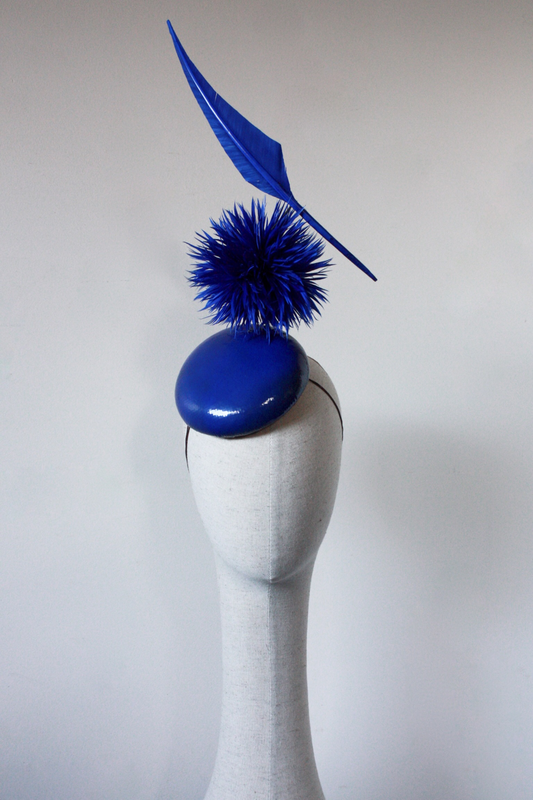 Patent leather button hat in cobalt blue with feather pompom and floating feather. 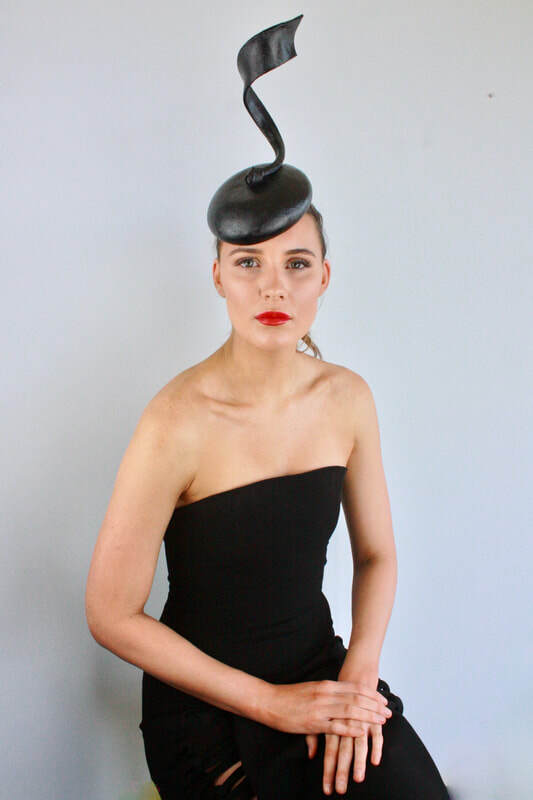 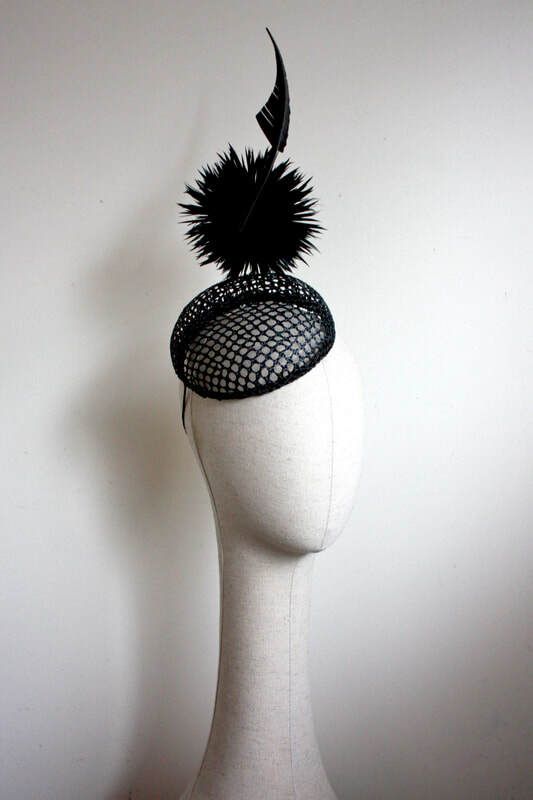 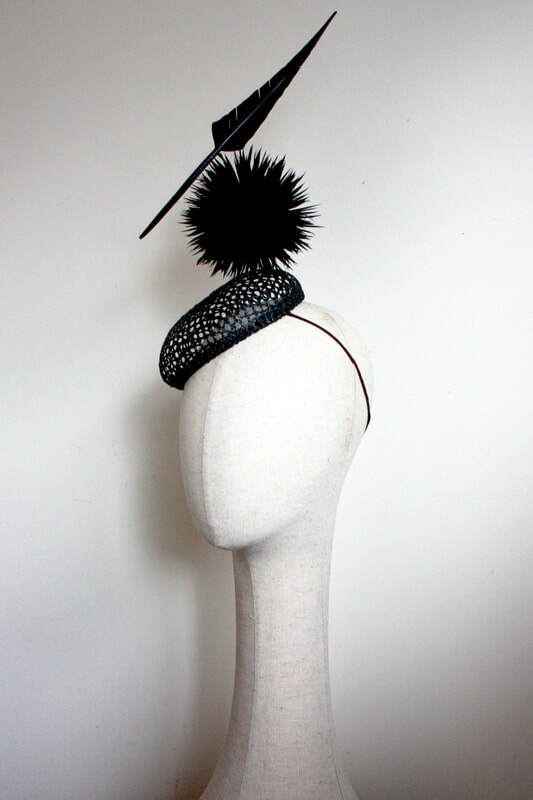 Black 'honeycomb' button hat with feather pompom and floating feather. 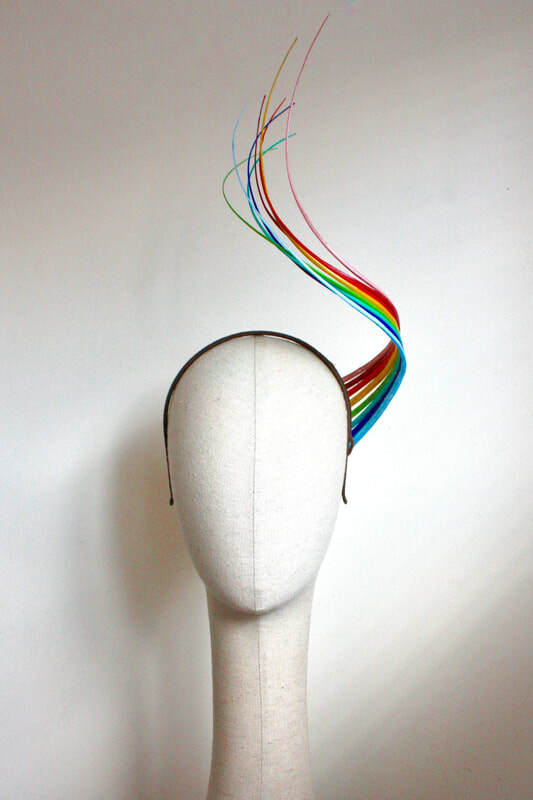 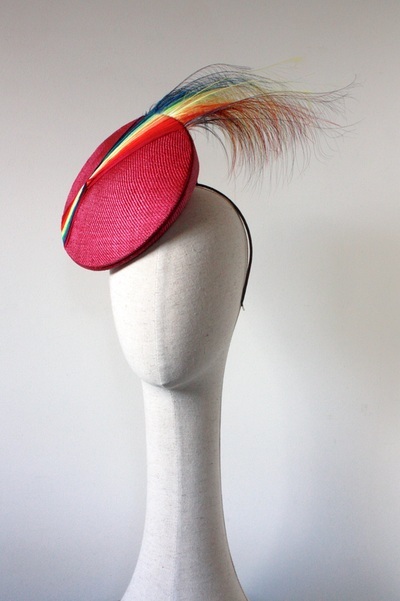 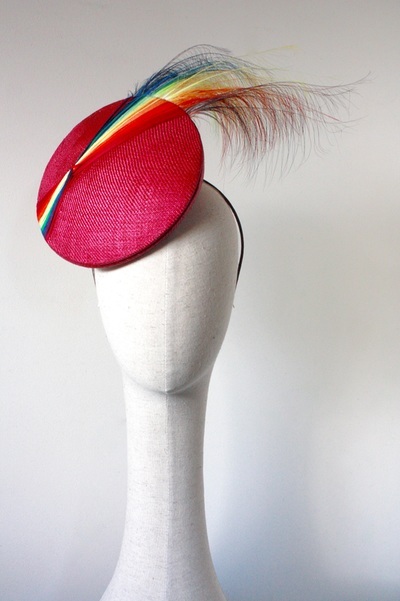 Colour spectrum beret disc percher hat with hand dyed rainbow feather effect. 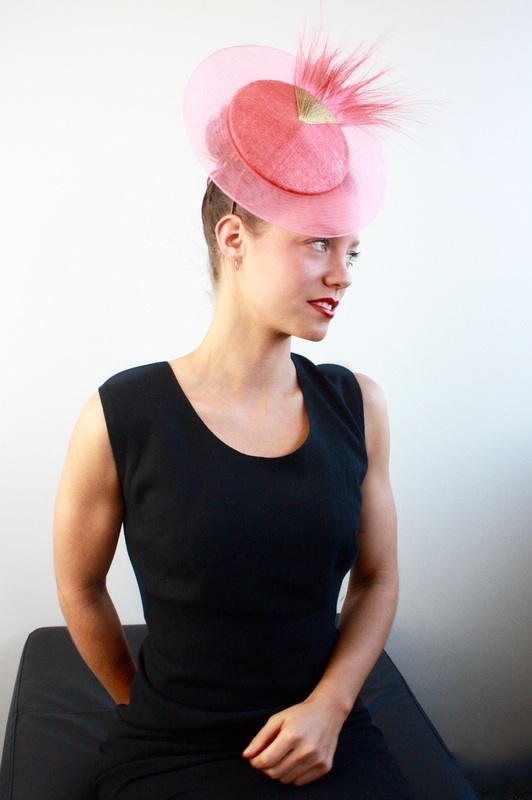 Conical percher hat in coral sinamay with crinoline 'record' brim, feathers and gold thread detail. 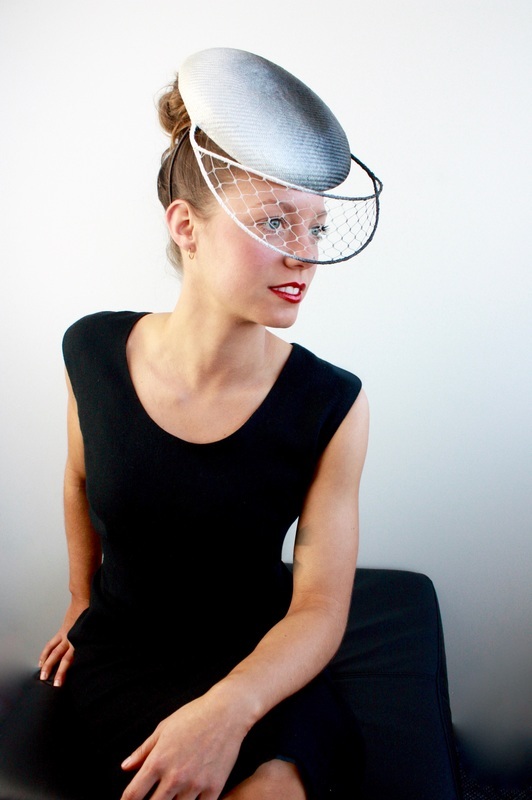 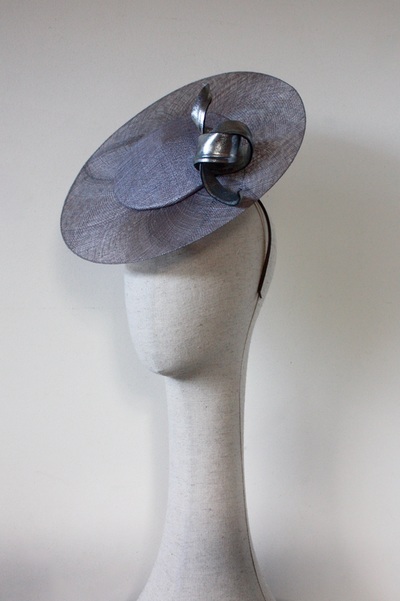 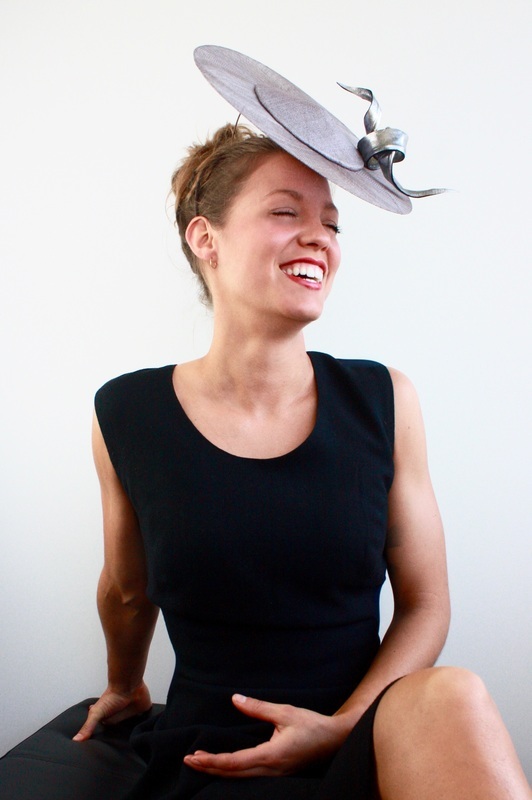 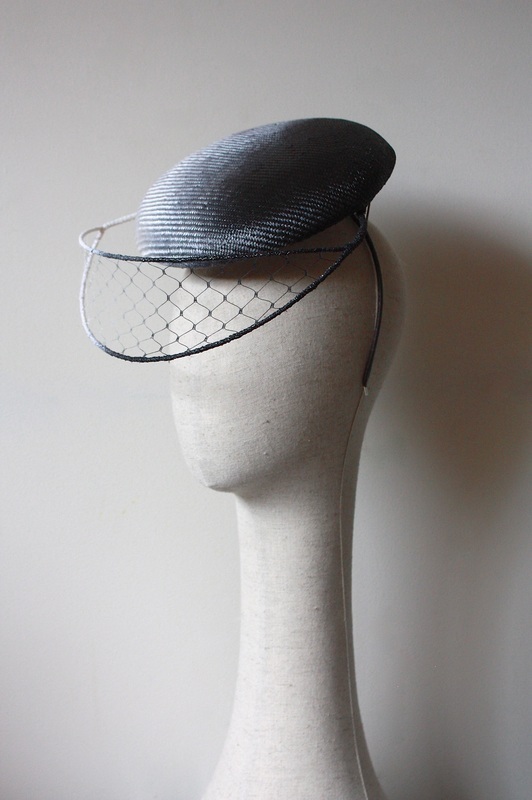 Circular brimmed hat in dove grey sinamay with pewter leather ribbon knot. 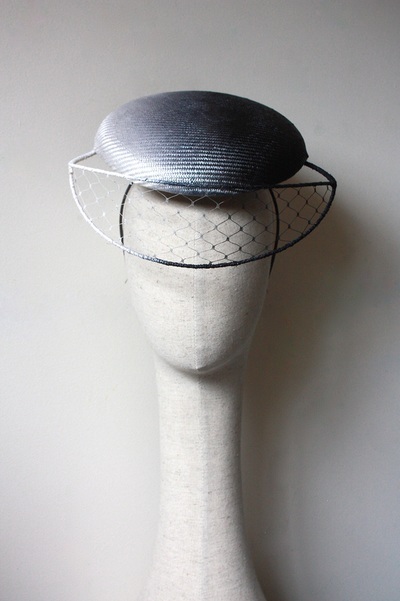 Tonal black to white ombre parisisal disc hat with matching gradient eye veil. 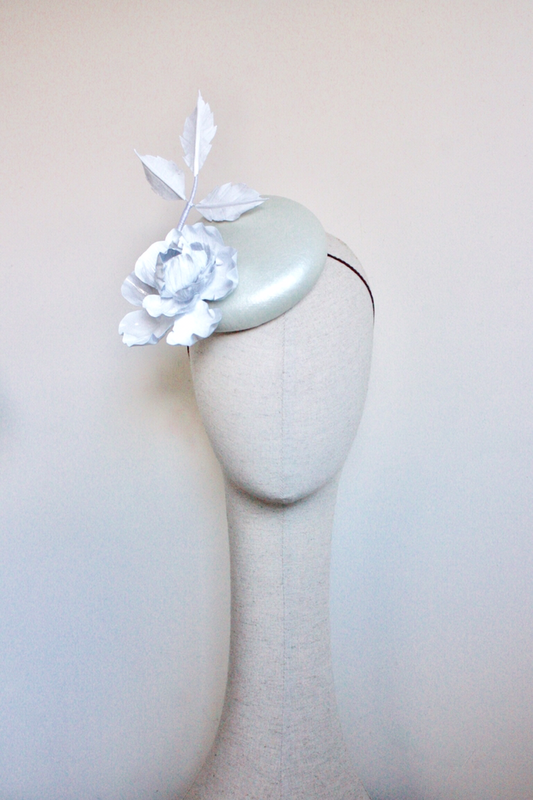 Alternate angle photographs available upon request. 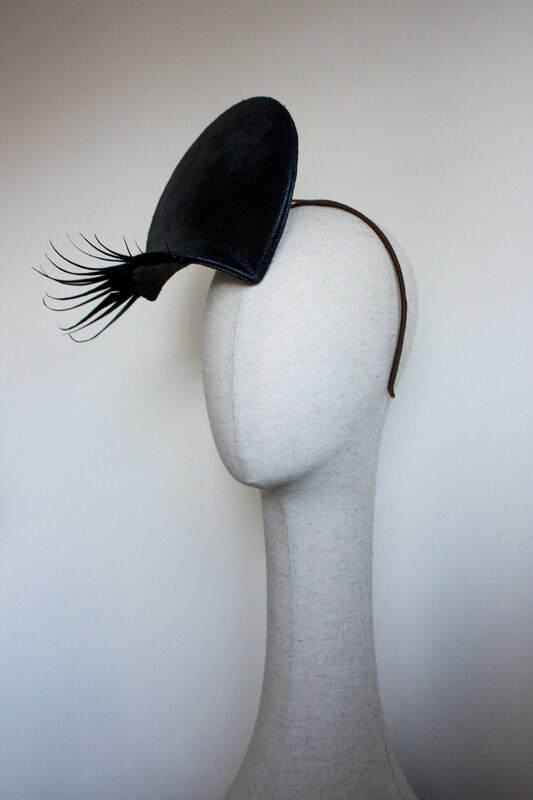 Please contact me if you prefer or need to arrange a purchase directly. 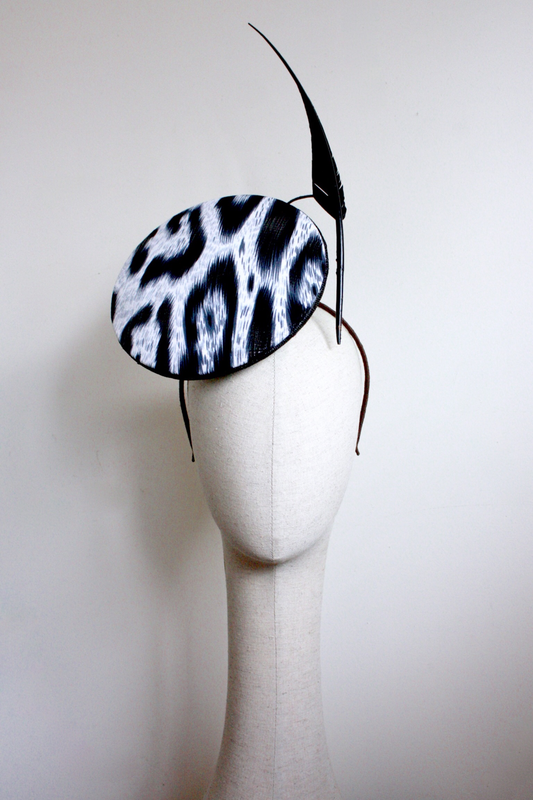 Credit cards & bank transfers accepted.